Sold for $218,000 Seller Saved $3,607! Nice country home. Gorgeous hardwood throughout 1st floor. 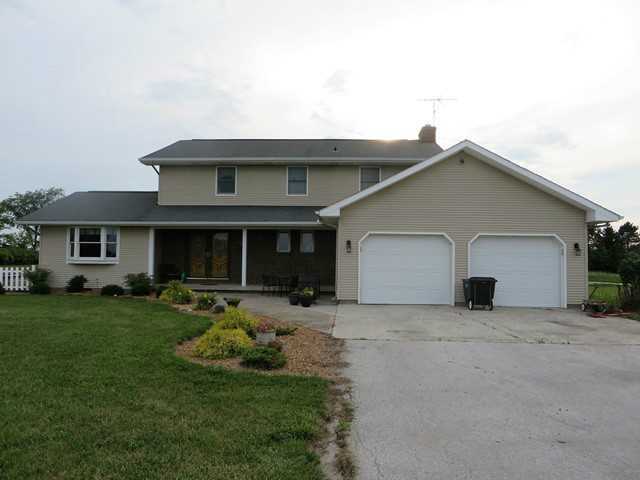 Beautiful updated kitchen features new cabinets, counters, flooring, appliances, & view of scenic acreage. Master bdrm is cozy w/ FP, walk-in closet, & deck view. FR floor-to-ceiling brick FP. 3-season porch, 1st floor laundry. Updated full bath. Very low utility bills w/ geothermal heating/cooling system & propane backup when temps low. Directions: S.r. 18 To Bairdstown Rd.